It can be all too easy to take good hearing for granted. Like good health in general, so long as we have it, we tend not to notice it is there. But when it is gone, we notice! The same holds true for our hearing. There are many reasons why we may hear more clearly on some days than others. These reasons can be as varied as allergy season and altitude changes. But when are hearing is impacted, at some level our quality of life is also affected. A retracted eardrum is a condition that can be triggered by a variety of underlying causes. For this reason, it is actually relatively common, although it probably isn’t a topic that would come up naturally in casual conversation. 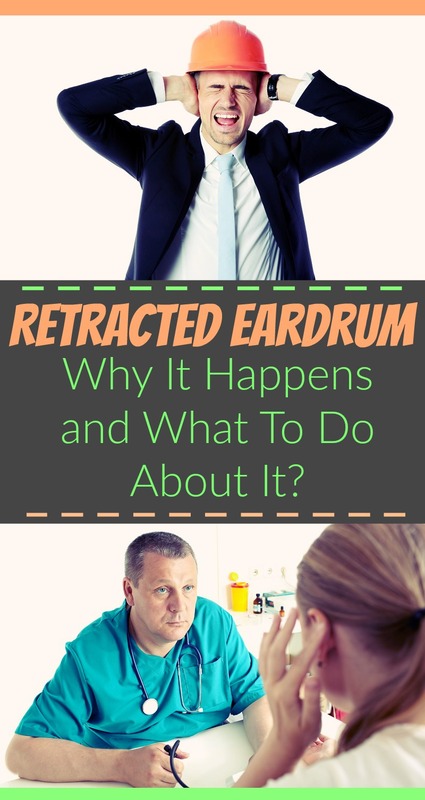 However, just talking about this health issue and finding out that you or someone you love is suffering from a retracted eardrum are two entirely different experiences. A retracted eardrum, or middle ear atelectasis according to VeryWell, sounds scarier than it is. (1) In order to understand what a retracted eardrum really is, it can be helpful to first refresh your memory about basic eardrum anatomy. The ear itself is made up of three distinct sections: the outer ear, the middle ear and the inner ear. » Outer ear. At the ear’s outermost tip is the pinna, which is the curved exterior “shell” that helps to reflect, hold and transmit sound down through the ear tube, or auditory canal, into the innermost portions of the ear. » Middle ear. The eardrum is the name of the thin middle portion of the ear, which is also called the tympanic membrane, according to WebMD. (2) The eardrum is attached to three tiny bones that vibrate when a sound is transmitted. » Inner ear. These vibrations alert the cochlea, at the deepest interior levels of the ear, to send the sound impulses to the brain for decoding. Side by side with the cochlea are fluid-filled ear canals called “the labyrinth” that are responsible for adjusting fluid levels so you can keep your balance. Because the entire ear mechanism is so small, fragile, complex and delicate, it actually doesn’t take much to disturb the system. Even a small change in altitude or a waft of spring pollen can make an impact you can feel. This health disorder is not necessarily a diagnosis in itself, but rather is a symptom of another underlying issue. » A middle ear infection. » A build-up of fluid in the ear canals. » An infection in the upper respiratory system. » A disruption in auditory tube function, such as when tonsils or adenoids swell so much they actually block the tube altogether. » Allergies or sinusitis that becomes chronic. » A ruptured eardrum that never healed the right way. Because of the sheer variety of potential causes for a retracted eardrum, this condition can affect people of all ages at any stage in life. The exception is for adults who have had repeated trauma to the ear or the eardrum, the risk of developing a retracted eardrum increases correspondingly. There are two major types of hearing loss, conductive and sensorineural. The first relates to structural or physical problems that impact how well the entire ear system can work. The second relates to nerve or cochlea trauma. A retracted eardrum is a manifestation of conductive hearing loss. The hearing loss may be minor or major depending on the cause of the damage and how long it has been going on. » The ears feel unusually sensitive or they even hurt. » Sometimes hearing is heightened (sounds are louder) and other times there is a loss of hearing. » If the diagnosis is delayed and balance is affected, additional symptoms may include vertigo, dizziness, nausea, headache or a feeling of fullness or swelling inside the ear. As well, symptoms may vary depending on whether all or just part of the eardrum is retracted. As MedMum explains, there are two main parts to the tympanic membrane: the pars flaccida and the pars tensa. (8) As their names suggest, the pars flaccida is loose and flexible and the pars tensa stays tight with the help of tiny collagen fibers. Either or both can become retracted, which can affect the severity of symptoms. Since the symptoms of heightened hearing or hearing loss tend to be the first outward sign that the eardrum may have retracted, often it is an exploration of what may be causing hearing changes that can lead to an accurate diagnosis. It is common to go to a general practitioner when the symptoms first present themselves. 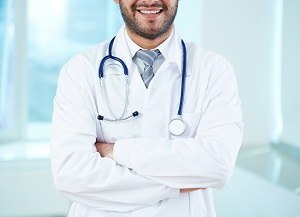 But after an exam, a family doctor will make a referral to a specialist called an Ear, Nose and Throat doctor, or ENT. » Otoscopy. The first and most important test that can diagnose this condition is the otoscopy. With this test, the ENT specialist can get a clear view all the way down into the ear canal to see the position of the eardrum. » Acoustic Reflectometry. As MD Edge explains, this test uses sonar technology to measure how fast sonar (sound) waves travel to and from the tympanic membrane, giving it the nickname SGAR. (11) The slower the sound waves travel, the more likely it is that some part of the inner ear mechanism is disturbed. » Tympanocentesis. As WebMD explains, with this test, a small needle is used to aspirate (drain) excess fluid out of the middle ear. (12) This fluid can then be tested to determine the right medications for treatment. Each of these tests can be useful to obtain an accurate diagnosis. Treating a retracted eardrum can range from simple observation to major surgery. There are several methods to try to equalize inner ear pressure as an alternative to surgery. If the retracted eardrum is caused by an infection or allergies, the treatment of choice is typically allergy medication or shots or antibiotics or a combination thereof. Laser surgery to remove the retracted portion can also result in more consistent hearing after healing. However, if the diagnosis is something like cholesteatoma, an overgrowth of skin that is impacting eardrum function and may lead to permanent hearing loss, surgery is more likely to be prescribed. 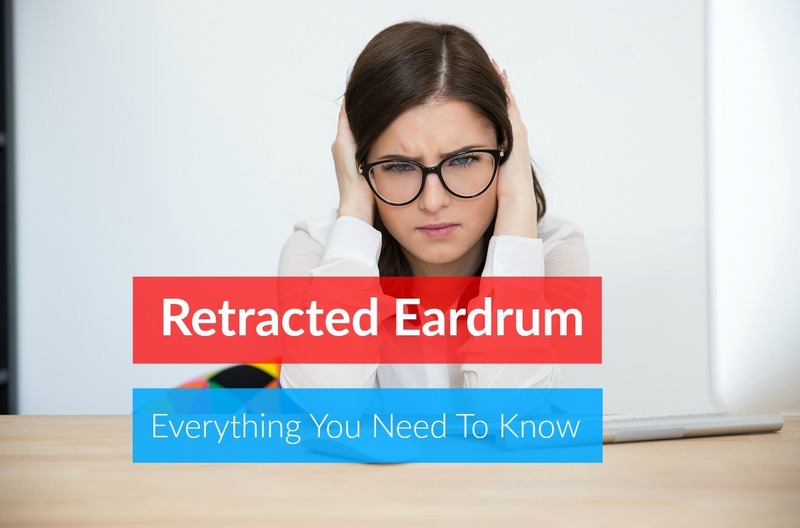 If you or a loved one suspect you may be suffering from a retracted eardrum, it is important not to panic. » Get a referral to an ENT specialist. » Have the appropriate tests performed to get diagnosed. » Follow your specialist’s treatment recommendations precisely. Retroverted vs Anteverted Uterus – What’s the difference?